* Fresh flowers in season now. Gardeners like you buy flowers because - they have no heat to grow exotic flowers - their garden can't provide a surprise floral gift - they want flowers for an extra special occasion. Does that sound like you? Well try these links for vases, bouquets, hand-ties, wreaths... and this page for tips on floral presentation. Yet my father delighted in giving his specially grown garden flowers to friends and family. 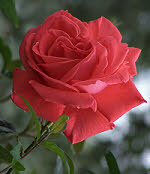 And the flower growing advice below will encourage you to pick your own garden flowers. 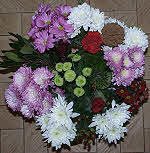 But when you have your flowers in hand see this link for preparing and presenting flowers. Flower gardeners can extend the range of flowers and length of the growing season by using a greenhouse, conservatory or polytunnel, and by providing heat. However, there remains a wonderful choice of pretty flowers that you can grow in most gardens over many months of the year. And the joy of giving what you can grow is indeed satisfying. Look for flowers on sturdy long stems. I find that flowers born on long stems last longer than short-stemmed low growing flowers - these are best left in your garden. When you buy flowers they arrive at their best but often with buds still to open. 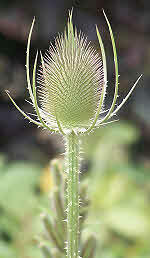 Spikes: these produce flowers all the way up the stem like Lupins, Foxgloves, Lavender and Gladiola. The flowers on some spikes open sequentially from bottom to top. Flower Stars: the star burst inflorescences of the daisy family deserve special attention as they are so attractive. Some of these flowers will be picked in bud and they will open later. Flat or Umbrella Shaped Inflorescence: flower stalks divide into many branches that each carry a flower. Examples include the flat-topped inflorescence of Yarrow, or the umbels of Archangel. Open Branching Inflorescence: branching flower stalks each carrying a single flower as in that pretty white mist of Gypsophila flowers. Or more robust branching flower stalks that may carry heads of star like flowers - Michaelmas Daisy and Chrysanthemum. single stemmed inflorescences born on a solitary stalk - Allium 'Globemaster' or ornamental onion, and Rudbeckia - 'Black-eyed Susan' or 'Coneflower'. Find more on how these forms are arranged and used in flower displays here. See what professional florists say you should do to make your flowers last on this link. Place flowers straight into a flower bucket of water. Gardeners who enjoy room decor that celebrates a natural earthy lifestyle will love dried flowers. Here's what you can grow to cut and dry yourself. Dried Cones, Berries and Leaves:- Copper Beech leaves along with evergreen leaves, cones and sprays of rowan berries. where to buy flowers where to buy plants and how to care for plants when they arrive.